Hello & happy Monday! 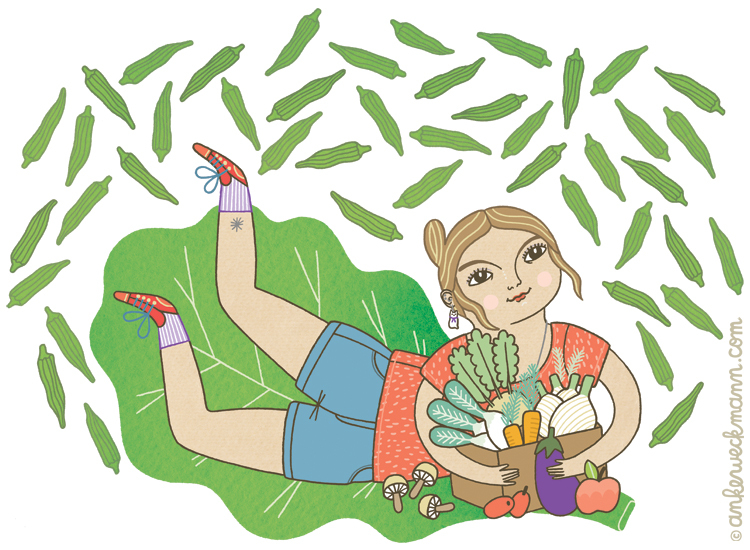 If you know me, you know that I LOVE vegetables, so drawing this illustration for the current issue of Arlington Magazine made me feel so lucky to be doing this as a job. 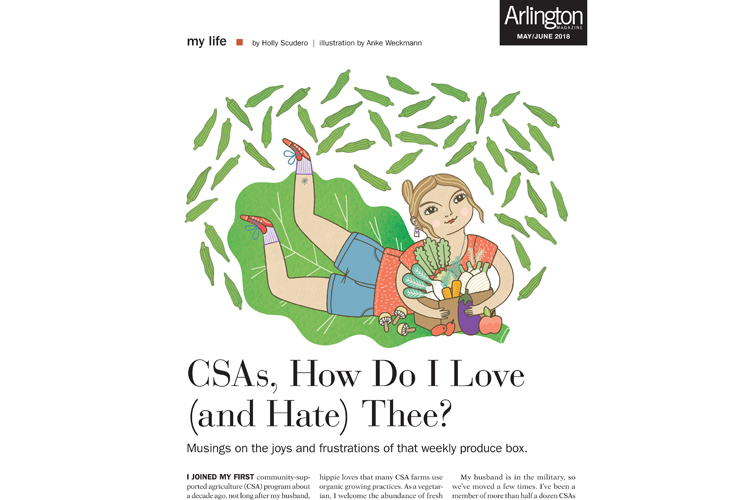 My illustration is accompanying an article about the advantages and disadvantages of CSAs (weekly veg boxes), written by Holly Scudero. 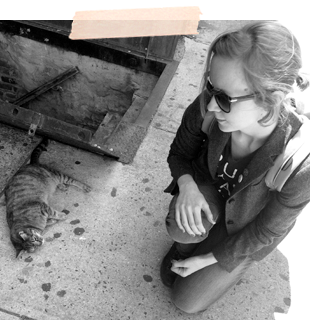 The first image is the finished illustration, followed by the initial pencil rough I sent off to the art director. 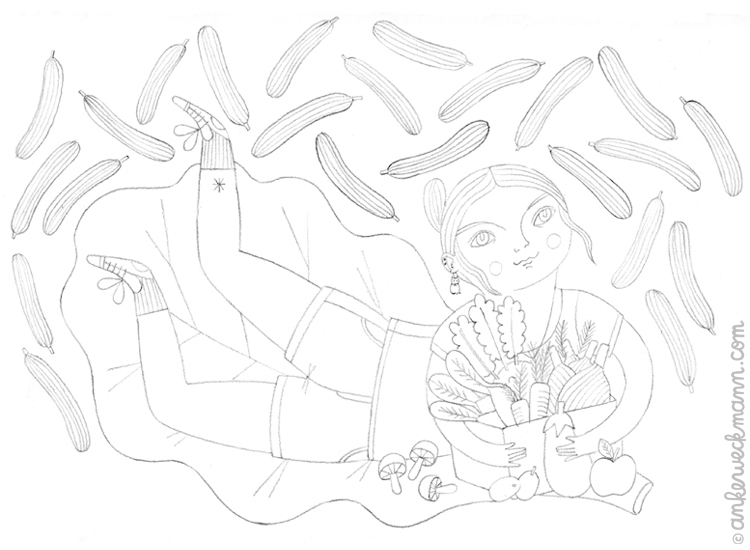 There was only one change I was asked to make, which was to change the cucumbers in my sketch to okras. I definitely think it's much better with the okras! All my illustrations are inked by hand on paper and I work pretty neatly, so the third image is just a scan of my ink drawing. Once the drawing is scanned, I colour it digitally and in this case I also added some hand-made watercolour texture to the big lettuce leaf. 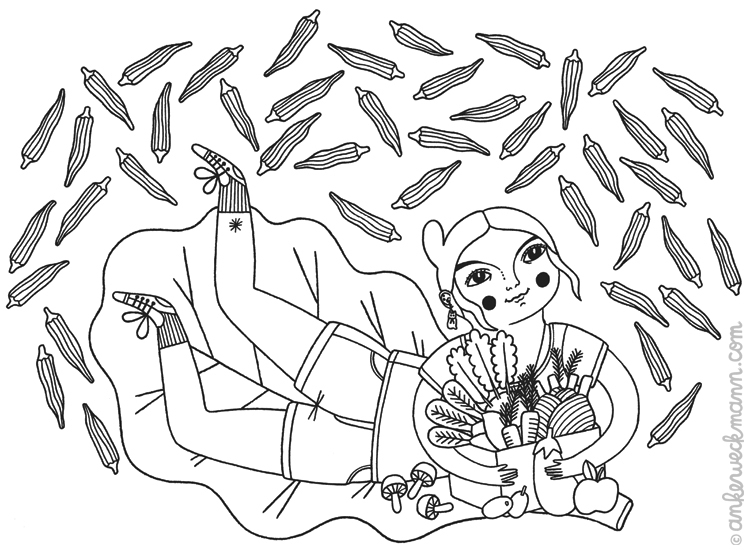 Finally, at the bottom you can see how the illustration looks in the layout of the magazine. Here's a link to the article as well, if you're curious! 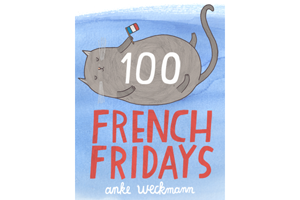 I've already shared the illustration on my Instagram, but a blog is such a nice platform to share a bit about the process behind it and since I am determined to get back into blogging, this is one thing I am planning to share more of. Do you enjoy this kind of post? Suggestions are always welcome!